Recovering from Q4'16 and the festive sales period, the industry improved on key metrics like delivery performance. This resulted in higher customer satisfaction for both verticals and horizontals. 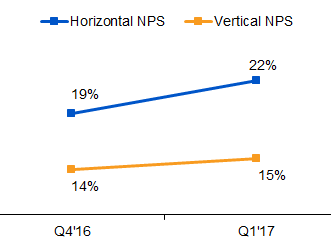 However, horizontals continue to dominate the consumer satisfaction.